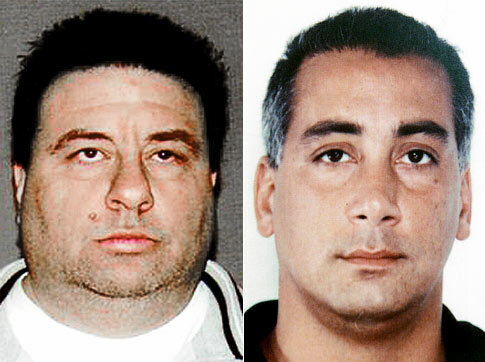 A Bonanno capo who became an FBI informant and helped convict mob boss Vincent “Vinny Gorgeous” Basciano was sentenced yesterday to six years in prison. Generoso “Jimmy the General” Barbieri already has spent that time behind bars, so now he’s a free man living under a new identity far from New York in the witness-protection program. “I’ve started a new life,” Barbieri told Brooklyn federal Judge Nicholas Garaufis after apologizing for decades of criminal activity. The ex-wiseguy previously had pleaded guilty to helping murder Bonanno mobster Russell Mauro, and also admitted committing other crimes, such as racketeering, murder conspiracy, extortion and illegal gambling. The judge praised Barbieri’s “fortitude” for alerting authorities that Basciano, boss of the Bonanno crime family, was plotting several years ago to murder federal prosecutor Greg Andres. “He demonstrated a lot of courage to step forward,” Garaufis said. Assistant US Attorney Jack Dennehy lauded Barbieri for taking the stand on three separate occasions to testify about different Mafia murders.